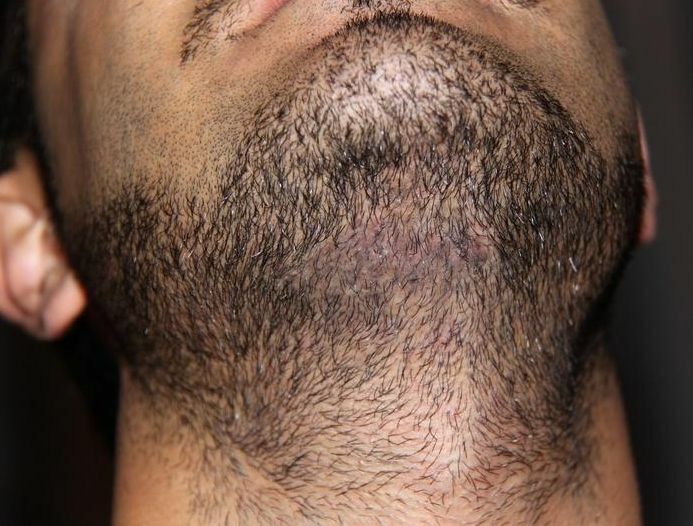 Our patient had rather large and obvious scarring (non HT related) under his chin he wanted to camouflage, Dr. Bisanga extracted via FUE his beard hair to add density to the scar, 150 beard hair grafts. Pictures below are pre op, post op placement and extraction and 5 months post op. It is still pretty red, as if a scab after 5 months, is that normal? » It is still pretty red, as if a scab after 5 months, is that normal? If you look at the pre op picture he had some pigmentation change in the skin already, I took the pictures myself when I met him a week or so ago and in reality there is hardly any difference to the surrounding skin, he healed normally post op, no lingering crusts etc; I think for some reason the camera accentuates it and as said in reality there is almost no discernible difference. I will try an update anyway over the coming months using the same camera so we can track it. You are right, nice work, he should be very happy. Stephenl, has your clinic had any success in repairing strip scars? I actually meant using FUE, and placing grafts into the scar. 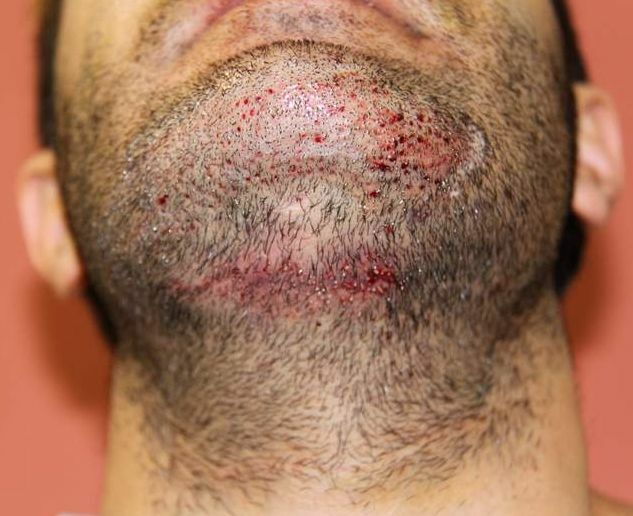 I am interested in seeing what a scar looks like shaved down, when grafts have been put into it via FUE. 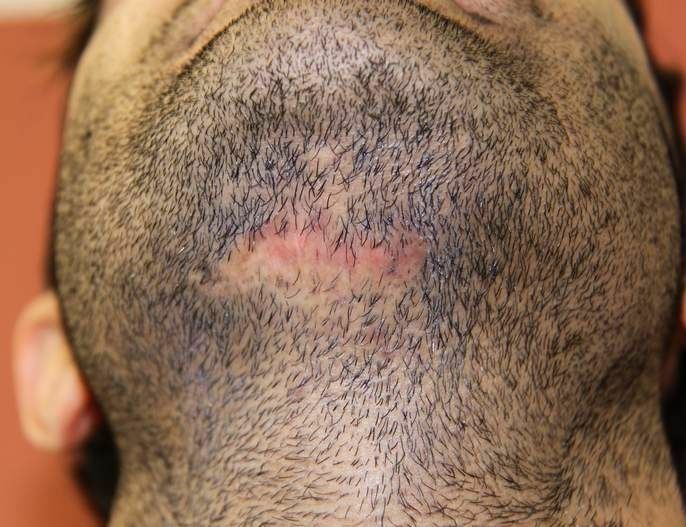 The clinic that ultimately figures out how to do it, where the scar blends in with a head that has been shaved down is going to very busy. 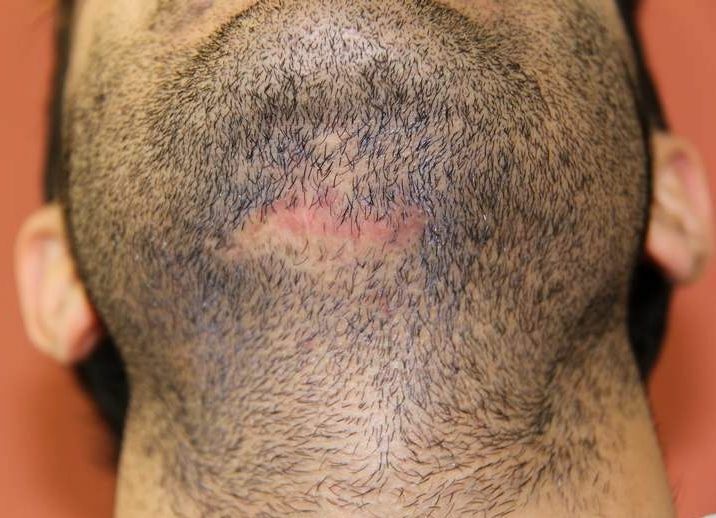 We have performed both scalp and BH into scars on many occasions, beard is proving a better choice in regards to BH. 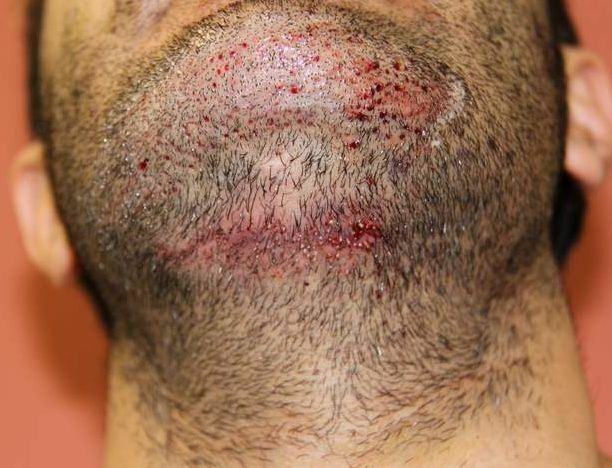 We’ve posted a few FUE in to scars, here is one examples, not totally shaved but short hair, hope it helps. We find to gain the best yield, scalp or BH, is to place a slightly lower than normal density, this seems to allow the impaired skin tissue to provide the grafts with a good enough cardio vascular supply to sustain good yield. then obviously if the person wants more later it is also possible, but generally the numbers placed to camouflage the scar are enough for most people’s needs. why didn’t he just shave his beard. 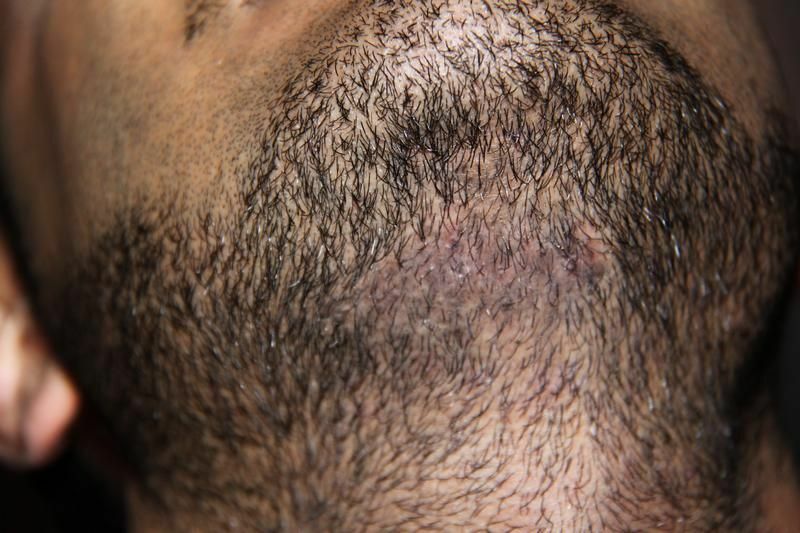 Shaved the scar is still visible because of the change in skin texture and pigmentation, so grafting hair into the scar helps to break the look of the scar down, shaved or grown out a little.